PINIMAGEToday is my mom’s birthday and each year I reflect on the woman and mom she is. Pretty much every year I feel more grateful that she parented and loved me the way she did. This year, as I struggle to remind myself that I am raising two tiny imperfect humans, I am reminded of the first time I realized that my mom had to say she cared more about a relationship with me than what her friends thought of her. 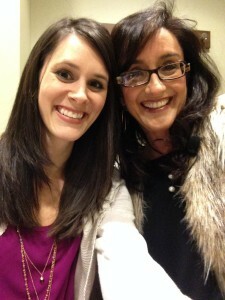 She cared more about me experiencing the love of Jesus than she did about what others thought of her parenting skills. I am so glad she chose me over her reputation. I’m so glad she listened to what God said about loving me rather than what others said about how to raise me. I am so glad she didn’t care about her image. I’m so glad she threw it all aside and loved me back to a relationship with God. I’m so glad she was able to grasp that my performance wasn’t tied to her ability to be a good mom.